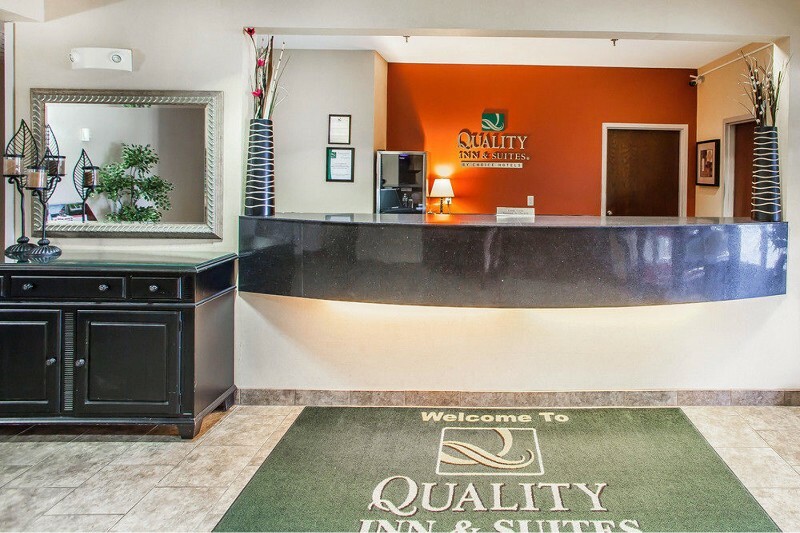 The Quality Inn & Suite Hotel lets you relax and focus on the experiences you came for. 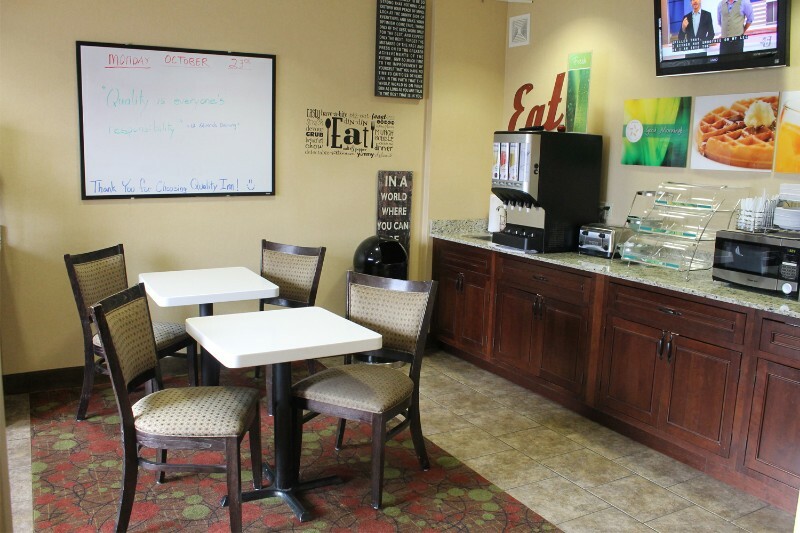 The hotel is just minutes away from the Music Man Square, Surf Ballroom, the North Iowa Events Center and downtown Mason City. 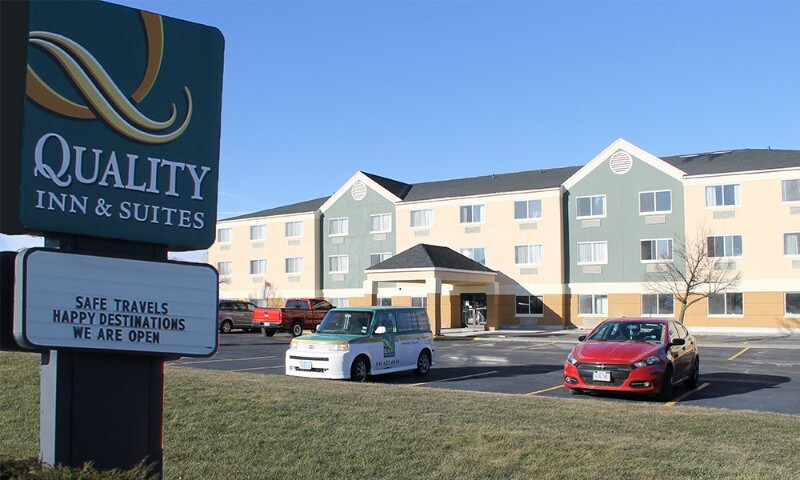 The Quality is a pet friendly hotel and offers truck parking. 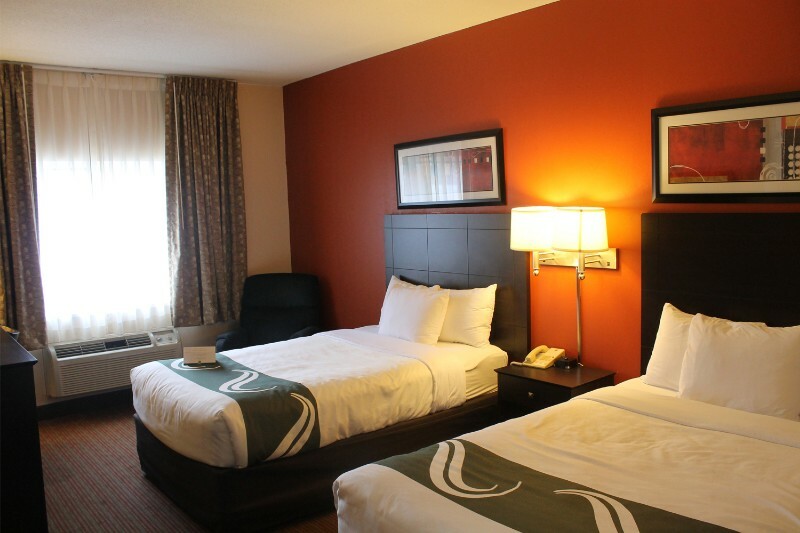 Each smoke-free guest room offers a refreshing shower, TV, coffee maker and hair dryer, while select rooms have microwaves, refrigerators and whirlpools. 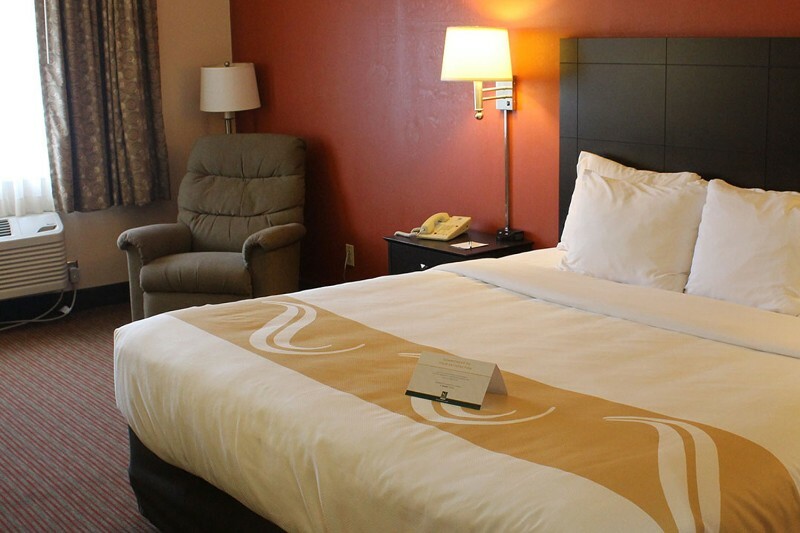 The Q Bed features a comfortable, premium mattress and linens, a generous supply of fluffy pillows and a soft, plush blanket. 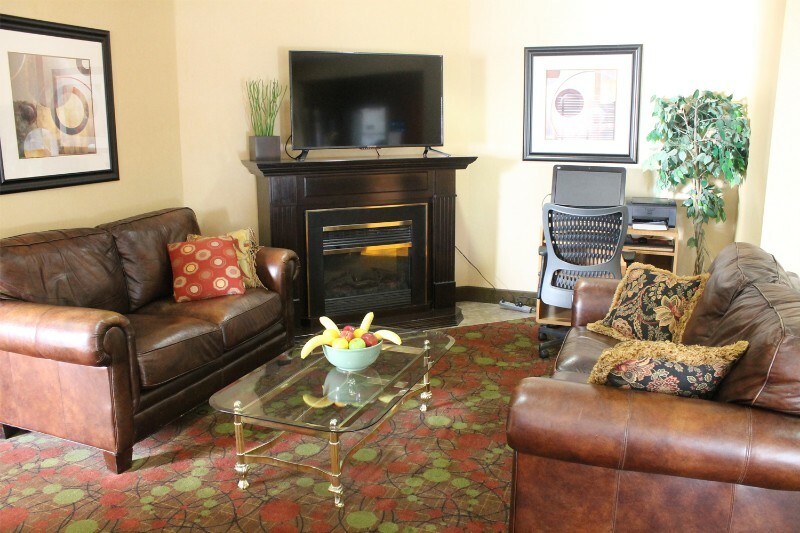 Internet access, luggage services, group rates, motorcoach parking, blow dryer, coffee maker, iron and board, refrigerator, microwave.